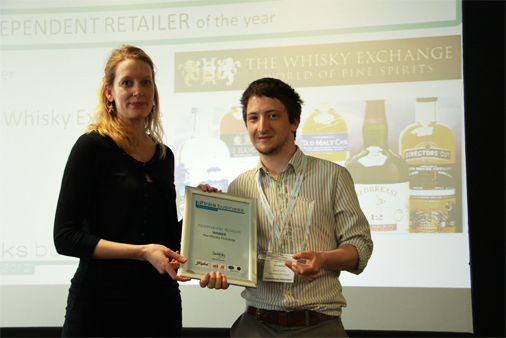 We’re delighted to announce that The Whisky Exchange has scooped another gong! At the UK’s biggest drinks trade event, the London International Wine Fair held in Excel last week, TWE was named as Independent Retailer of the Year at the prestigious Drinks Business Awards, beating off stiff competition from Roberson Wine and our neighbours in Vinopolis, Laithwaites. We’re all so proud, in fact, that in order to celebrate we’re going to run a pair of ridiculous price cuts on two of your favourite products for the entire duration of the Queen’s Jubilee weekend (ie now until Tuesday night). First up is the Glendronach 18yo Allardice, which we’ve slashed to just £45.95 (you can read Billy’s notes in his report on TWE Vinopolis’s Glendronach tasting from last year). And for the peat-heads, we’ve also knocked a healthy chunk off Bowmore Tempest Batch 3 – our favourite version yet of this superb addition to Bowmore’s range, and it’s been cut to £37.95. 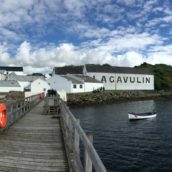 There’s never been a better time to see what all the fuss is about with this one, and regular readers of this blog will already know Tim F’s feelings about it if they care to recall this embarrassingly gushy review he wrote before Christmas, or indeed when he gave it the Best Affordable New Whisky gong at the recent TWE Blog Awards. 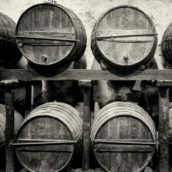 Finally, don’t forget that it’s Ardbeg Day tomorrow, and of course the Whisky Exchange Vinopolis, as an official Ardbeg Embassy, will be taking part in all the fun. As the shop is piled from floor to ceiling with bottles in every direction, it’s unlikely that you’ll find anyone sheep-tossing (unless Hector feels particularly -Snip! Content removed by TWE Decency Committee Captain Buzzkill), however they will have a rather big version of the new Ardbeg Day bottling for Committee members to have a free taste of (while it lasts) and a small number of normal-sized bottles to sell as well. 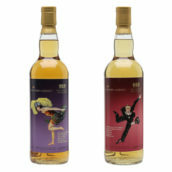 A cautionary note – These latter are expected to fly out in trice, so if you’ve got your heart set on one you might be better trying the Ardbeg website in the morning as they’ll be selling it there as well and it means you don’t have to forego your Saturday lie-in. If you are one of the loveably mad people who want to do some queuing you can find details on one of our previous missives.